This calculator predicts the risk of death for people living in nursing homes (long-term care facilities). Your answers should reflect the time of entry into a person’s first nursing home. Most people prefer to spend their last days of life at home surrounded by family and loved ones. For many, receiving the support they need starts with a discussion about what to expect. This often doesn’t happen. Part of the challenge is talking about when a person will die. Drs. 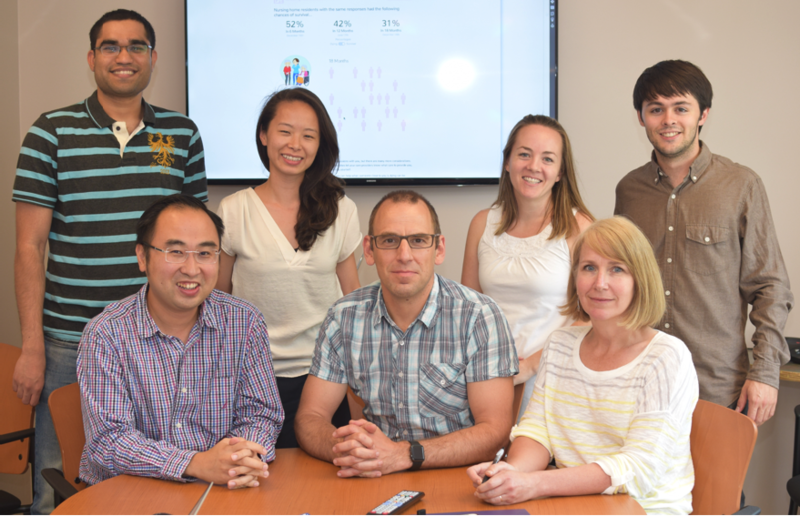 Peter Tanuseputro and Doug Manuel, along with their colleagues from research institutions across Canada, have developed a web-based tool – the RESPECT End-of-Life calculator – specifically for this need. They are now refining and evaluating the tool before public release in Canada. RESPECT is short for Risk Evaluation for Support: Predictions for Elder-life in the Community Tool for the End of Life. 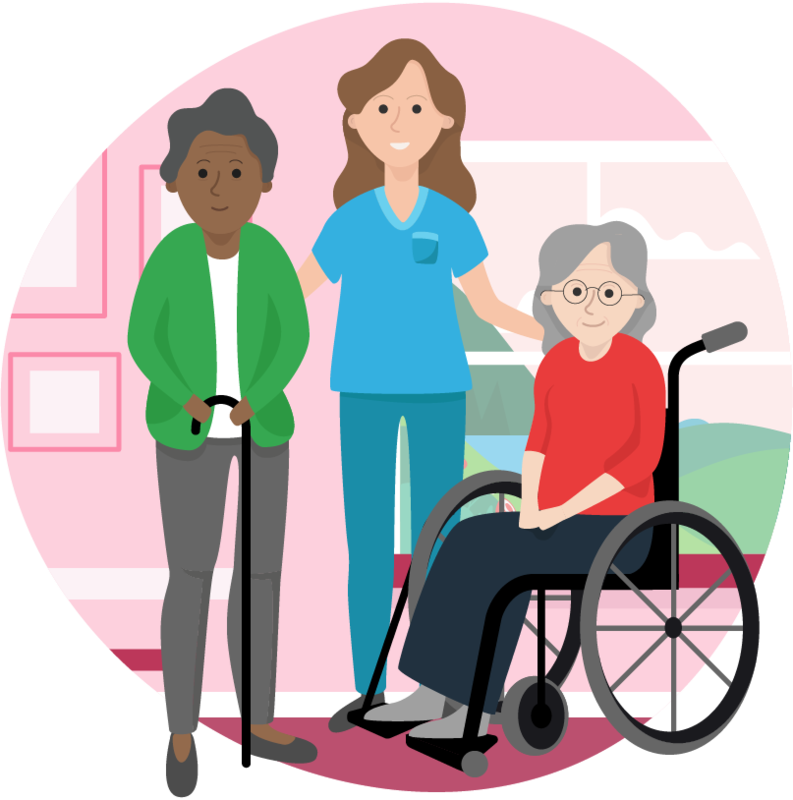 RESPECT End-of-Life will be the first of a suite of tools that the team will develop for older people needing supports in their homes. Technically, it is a predictive algorithm that calculates your survival (that is, how long you will live) based on five to 25 questions you answer such as what diseases you have and how difficult it is to care for yourself. RESPECT End-of-Life is primarily for older adults living in the community and their family members who are uncertain whether they are approaching the end of their life. RESPECT End-of-Life can also be used by formal caregivers—such as physicians, home care staff or palliative care teams. ‍What is unique about RESPECT?  RESPECT uses a personalized and patient-oriented approach made possible using big data. “Personalized” means that the questions are detailed, specific and tailored – providing calculations that are customized to each person. “Patient-oriented” means the calculator is designed for people and their caregivers (as opposed to doctors or nurses). Results are presented clearly, using terms that are easily understood. Calculations are performed in real-time as a person completes the questionnaire—giving people insight into how aspects of their health status affect their calculations. If you have feedback or questions for the research team please contact Dr. Tanuseputro, Principal Investigator, at 613-798-5555 extension 17343 or Carol Bennett, Epidemiologist at ext. 12443. This research has been supported by the Canadian Institutes of Health Research Pan-Canadian SPOR (Strategy for Patient-Oriented Research) Network in Primary & Integrated Health Care Innovations Quick Strike program and the Centre for Aging and Brain Health Innovation. RESPECT End-of-Life was developed and validated using routinely-collected, population-level home care data from Ontario—1.3 million Ontario home care assessments that were followed to 80 000 deaths between 2007 and 2014. 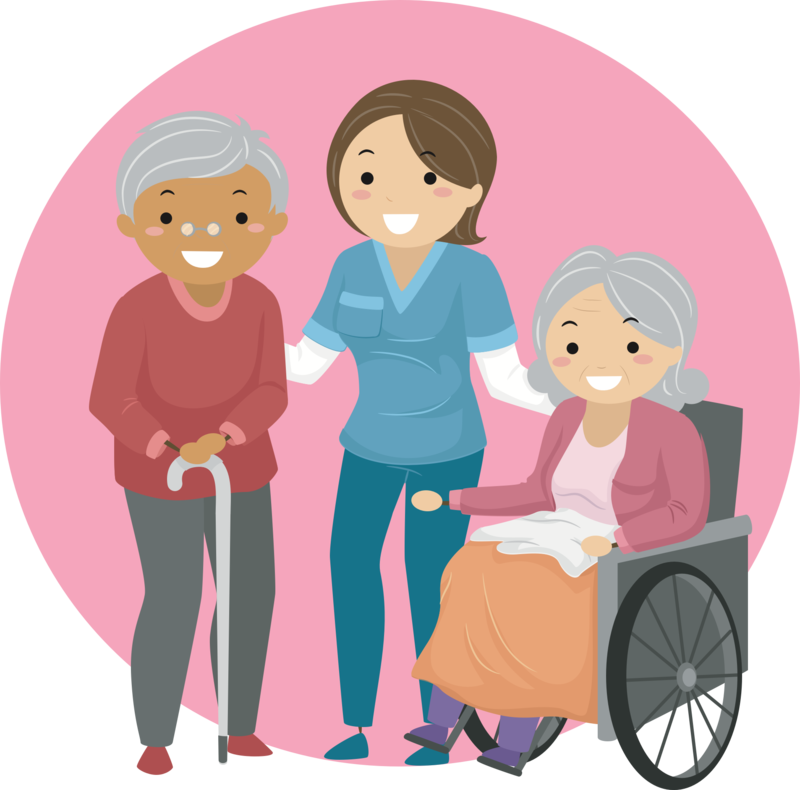 The dataset contains detailed health information from the standardized Resident Assessment Instrument for Home Care (RAI-HC), which case managers and nurses use to assess the needs of home care users. During the Summer and Fall of 2018 the research team will be conducting focus groups to evaluate RESPECT for its acceptability and usefulness and to improve the tool for its use in the community. Members of the RESPECT Team: (L to R) Yulric Sequeira, Peter Tanuseputro, Amy Hsu, Doug Manuel, Sarah Beach, Carol Bennett, and Cameron Bell.